Echoes the initial reveal trailer. 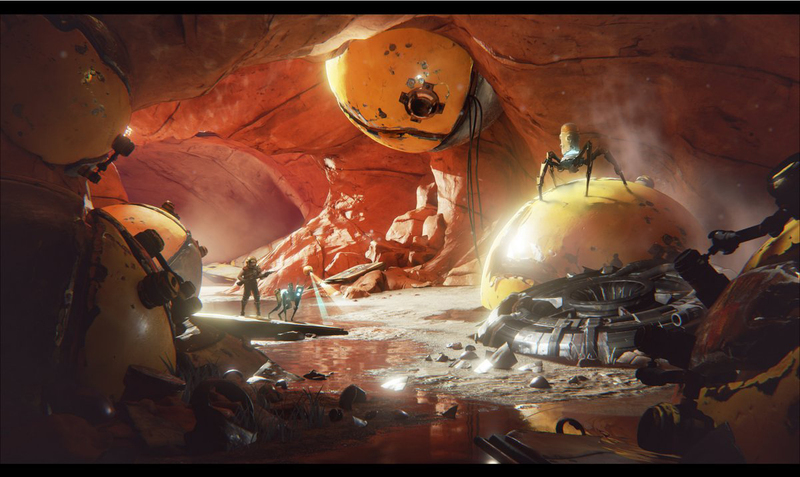 Comcept’s ReCore hasn’t had a ton of information floating around recently. The action adventure title was announced last year at Microsoft’s E3 presser and poised to release in Spring 2016 but was subsequently delayed. This E3 promises new information and perhaps a more concrete release date. Until then, we’ll have to make do with some new concept art courtesy of the E3 2016 “Into The Pixel” Collection. The artwork showcases the main character and her pet machine venturing into a desert cave in a scene not unlike that showcased in the initial reveal trailer. At the very least, it’s nice looking concept art…even if it tells us next to nothing new about the game. ReCore is currently in development for Xbox One and Windows 10 (announced earlier this year). It comes from the mind of Keiji Inafune, currently prepping Mighty No.9 for release this month, and former Bungie writer Joseph Staten, currently in charge of ReCore’s story. What are you hoping to see from the game at E3? Let us know in the concepts below.